In the tradition of Thousand Pieces of Gold comes The Moon Pearl, the story of Rooster, Shadow, and Mei Ju, who become fast friends while members of a girls’ house, where young daughters are taught to become daughters-in-law. These girls, however, want neither to marry nor become nuns (the only options open to them at this time). They choose instead to support themselves through their skills in embroidery and silk production. Though ostracized by their families, attacked, and barely able to find sustenance and shelter, these sze saw, or self-combers as they will come to be called, manage to create lives that they alone control. 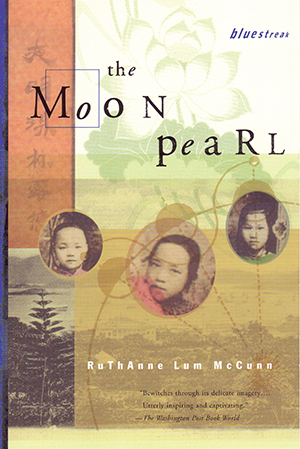 An amazing true-life story, The Moon Pearl offers an empowering vision of womanhood in China.